Si Davey has been making superb handcrafted roo hide leather whips for over 30 years and is one of the finest stock whip and bullwhip makers in Australia. Si uses the same centuries old tradition of the legendary Australian whip makers. 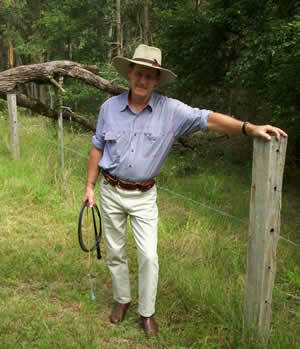 Each kangaroo hide whip is hand-cut and hand-plaited by Si in the traditional Australian two whips-in-one technique. 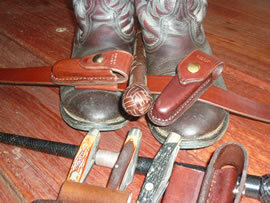 Each stockwhip and bullwhip made from 100% kangaroo hide leather, is thumbnail cut by eye. Each stockwhip and bullwhip is 100% custom made to our customer's personal requirements which makes your stock whip unique in the world for you. 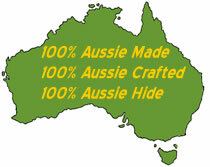 Naturally, only the highest quality kangaroo hides are chosen for our stockwhips and bullwhips. 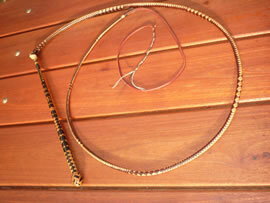 Every Si Davey stockwhip or bullwhip is an heirloom investment that can be passed down from generation to generation. Any leather whip, be it stockwhip or bullwhip made by Si Davey, are really thumbnail cut by eye. Most competitors cut by gauge or machine. The only tool Si uses is a razor sharp knife to cut the leather. This make's Si Davey whips one of the last of their kind. When you invest in your individually hand-crafted Si Davey bullwhip or stockwhip, you not only invest in a practical tool, perfectly balanced and designed for a working life outdoors, you gain a family heirloom. Due to recent events I am able to concentrate on stock whips for the Australian whip market. Of course I will still make to order custom whips as always. My full range of stockwhips are available from AUD$330 for kangaroo and AUD$200 for Redhide making my whips the most affordable whips possibly anywhere in Australia - Quality whips that is! All custom orders very welcome. Be Australian, Look Australian with our new range of pouches and belts. Belts & Pouches to last a lifetime. 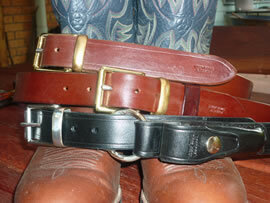 Si Davey is now offering pouches and belts, hand made, top quality leather products. No shot loading- only solid leather natural weighting allowing for a louder crack!